This ring bearer pillow with pinstripes and colors that pop is the perfect gift for any couple's very special wedding day. It is both stylish and subdued, and the special pattern adds an extra hint of elegance. 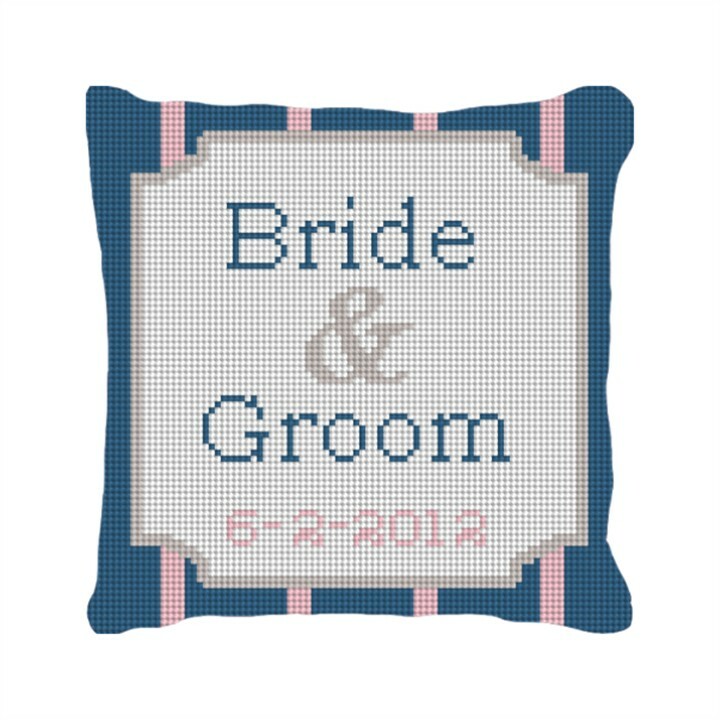 Please note that the centerpiece is fully customizable to include the couple's names and wedding date.